Here’s an incredible (and rare) one-off 7” from the Netherlands, released in 1984. The four-piece band formed in 1981, and apparently remained together until 1995, even though they don’t seem to have released anything else. Most famously, however, the band were asked to perform a U2 tribute set in 1995, which led to them changing their name to U2PIA. They appear to still be active to date. Here’s a short 12” from the Netherlands that I’ve been dying to hear in full for some time. Some folks may recall hearing “Silly Earth”- a bleak minimal synth standout, on a previous SOR mix, but a full rip of this otherwise pricey 12” has been hard to come by. Those expecting to hear more in the lines of “Silly Earth” may be a bit disappointed by this record’s more kraut/avant-garde feel, but fans of the more raw and experimental side of the spectrum (including bands such as Vita Noctis and Fall of Saigon) should adore this one on all levels. Either way, both tracks here are great, gloomy affairs that should feel at home for fans of The Names/Factory Records. Thanks to Stéphane for clueing me into and sending me the original rip of this lost classic! 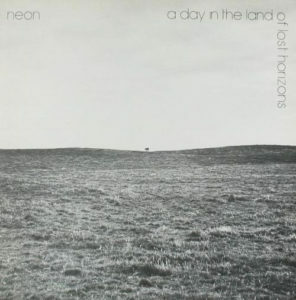 According to discogs, there are FORTY THREE bands that use the name Neon. While there are several excellent entries (most notably the Italian darkwave project responsible for “Lobotomy,” “Dark Age,” and “My Blues Is You”), today’s post focuses on the Dutch variant, who released one 12”/mini-LP/whatever you want to call it in 1981. For those who are unfamiliar with this one, you can expect excellent cold post-punk sounds reminiscent of Flue, Mecano, etc. The touchstones make absolute sense, as this record was released by Sublabel, a division of Torso, which featured both those bands. Sublabel also boasts the most excellent Phantom Limb 12”, another underrated genre classic. I just found a copy kicking around in NYC and cleaned/re-ripped it, so for those familiar with this 12” already, you can expect some nice fidelity here, and for those who haven’t heard this one before, you’re in for a real treat. As a bonus, I’ve uploaded a demo recording that features four exclusive tracks and another pass on “Standing On the Other Side.” Enjoy! EDIT 8.21.12: there was a slight hum on the 12” rip, which has since been fixed. Feel free to download again. 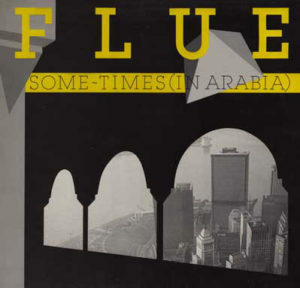 Here’s the final 12” from Dutch synth band Flue, released in 1987. The fantastic Phoenix Hairpins blog features the band’s two full-length LPs, so with the exception of any bonus tracks issued on the One and a Half CD reissue, this should complete their discography. You can get their debut LP here, and their second LP here. For those unfamiliar with the Flue story, the band was one of the flagship artists on the Torso label, who issued several key LPs from The Cult, Sonic Youth, and The Residents. 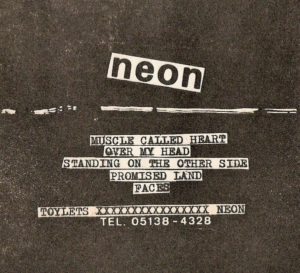 Several more obscure synth/wave acts such as Mekanik Kommando and Mecano also found their way on to the label. In fact, Flue guitarist Cor Bolten was active in Mecano before joining the band after the release of their 1981 debut. The band’s second LP, Vista was recorded with an entirely new lineup. Sorry for the repetition lately, but here’s another Ecstasy post by request. Keeping in chronological order, here’s the band’s third album, released in 1988. All information about the band can be found in the previous two posts, so let’s get to the upload, shall we? Naturally, we’ve got some bonus tracks here. Tracks 5 and 6 hail from the Only For You 12”, while “Ice” seems to be exclusive to this release, at least according to the band’s discogs listing. If anyone knows for sure, let me know. Otherwise, enjoy- and expect some more goodies to follow in the next few weeks. Edit: I am currently in the process of updating all the divshare links from the first year of the blog, since I’ve heard that download limits are often exceeded. Kas Product should be live by the end of the afternoon, and the rest will follow as I have time. I also have a few zshare reuploads to handle, so stay tuned for that. 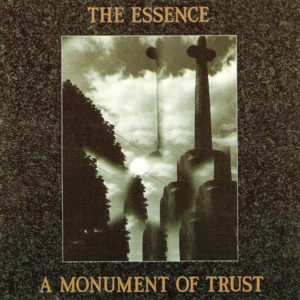 Real quick post today, folks, but here’s the second Essence record, released in 1987 via Midnight Music. The band were still a three piece at this point in time, featuring the same lineup as their debut, so the sound doesn’t stray too far. 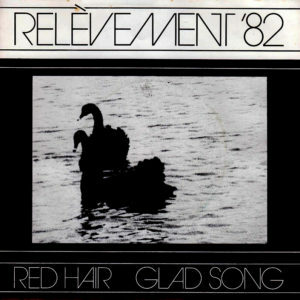 I do happen to prefer this record to Purity though, by a hair! Otherwise, this particular upload contains two bonus tracks plucked from the A Mirage 12” (the extended mix and “Lollipop”), as well as “The Happiness” another b-side from the This Cat 12”. Perhaps the band couldn’t fit these tracks on one LP record, but it’s nice to have them in a cleaner format, for sure! On that note, here’s the information for the record. Enjoy! 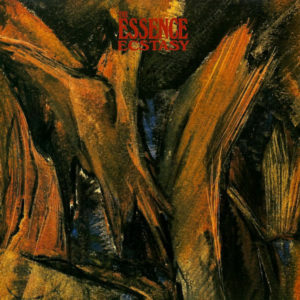 I’ve got a pair of early Essence records to upload for you folks. Here’s the first of the lot, the band’s 1985 debut, Purity. 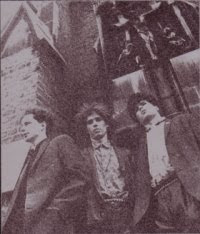 The band originally formed as a three piece in 1984, hailing from Rotterdam, a region in the Netherlands. Over the course of time, the band grew in both popularity and personnel, releasing four full length LPs and several 12” singles before their demise in the mid-nineties. Most of the band’s material was released on Midnight Music, the label who also were responsible for Sad Lovers and Giants and The Snake Corps, two of the band’s closest sonic peers. Speaking of which, it’s difficult to avoid comparing The Essence to The Cure, as the band walk similar sonic territory, straight down to the melodies, lyrics, and even the chimes in the instrumentation. For those who can’t avoid the comparison, the touchstones are close enough to consider it a lost record from The Top/Head on the Door era! Otherwise, it’s a rather solid guitar record from the mid-80s, with a hint of gloom and doom thrown in for good measure. A surprising fun fact about this record: It was recorded in Alaska, of all places! Perhaps it was the allure of the near darkness and hopes of bringing the state’s icy edge to the record. Did they succeed? You decide. Here’s the information below. 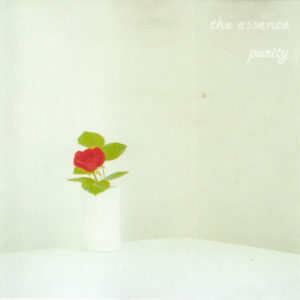 both bonus tracks included on the 1996 CD reissue of Purity. Stay tuned for the band’s sophomore record, which I will be uploading shortly! 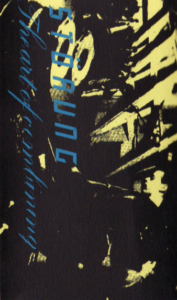 Astute fans of minimal wave should already be familiar with Störung, a duo from the Netherlands who released one classic full length record in 1982 (get it here on Mutant Sounds). Their sound combines some of the most striking minimal electronics with dirty guitars, bass, and alternating male and female vocals. The band formed in 1981, and during their lifespan released both the This is Future LP and the respective Dreadful Dance 7”. 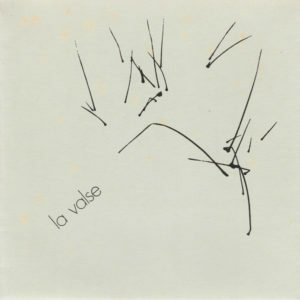 Though a recent archival release by Minimal Wave Records (currently available for a meager $8.50!) appeared two years ago, the band had only these releases under their belt, but still had several unrecorded tracks in their repertoire. 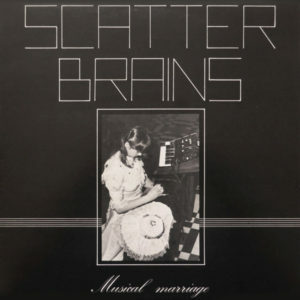 An unofficial cassette was released by their label, Combinator, in 1983. The bootleg featured several Störung staples alongside a series of unreleased tracks, recorded during one of the band’s live sets. These are the only known versions of some of these tracks, and though the quality is a bit warm due to the nature of the release, it still holds up as an additional piece of the Störung puzzle. Note: Also posted on the No Longer Forgotten Music blog. Check out his impressive backlogs! As a further supplement, here’s a video for a live performance of “Warschau Pact,” recorded in 1983. DOWNLOAD LINK REMOVED: Click HERE to purchase the reissue LP from Minimal Wave! Stay tuned next week for a slew of donated materials! 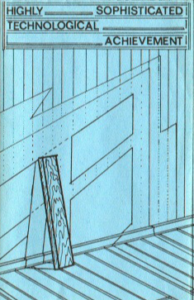 Otherwise, this blog is dedicated to showcasing material that has long since been out of print. If you are aware of any of these items being readily available from the artist or label, or take issue with these tracks being uploaded, please let me know so I can amend the post or remove the links.